Specializing in cognitive-behavioral therapy for anxiety disorders and depression. Also specializing in rehabilitation psychotherapy for individuals with various injuries, illnesses, and chronic pain conditions. Conveniently located and easily accessed off of I-5 for all Seattle residents. Wheelchair accessibility and parking easily available. The office is particularly convenient for people in the Northgate and South Snohomish County areas. But everybody is welcome! Dr. Hymen's first priority is to help his clients feel good about themselves, maintain satisfying relationships, and enjoy life. 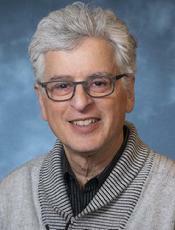 Dr. Hymen has over 44 years of training and experience in cognitive-behavioral therapy. He has completed trainings with many of the "masters" of cognitive-behavioral therapy; including, Drs. Albert Ellis, David Burns, Aaron Beck, and Donald Meichenbaum. Dr. Hymen also has over 34 years of experience in medical and rehabilitation psychotherapy.